As I type I’m looking out at the still highly illegal cricket field, brimming with ewes and lambs as they seem to think its breakfast time. You might at this point be thinking something along the lines of “why on earth doesn’t the old boy stop banging on about planning permission?” The answer is simple, by the beginning of last summer we had reached a position with EDDC whereby they were insistent that to play cricket legally in the field we needed a “Mixed Social and Sporting Use” Permission. By the end of the summer, in order to satisfy the demands of the Environment Agency, we had been advised we would need a Flood Risk Assessment for the Club House. The Flood Risk Assessor then needed a Levels Assessment before he could proceed. We then spent all of the money raised last year on these surveys and submitted them to the EA in October. like only a few weeks ago that Ian Scott was pulling Oli Kittows van out of the mud after the season opener last year, hopefully the spring will be a little kinder this year. 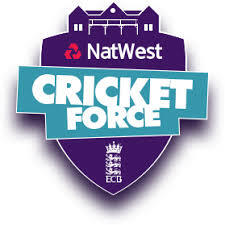 Cricket Force Day this year is on Sunday 14th April at 10am and hopefully, once we’ve seen off Libby’s sheep, we can get the field up together. We then have an open net session on Wednesday 17th April for all who want to get involved……..we could do with a few more bodies, as a few of our members have moved on in different ways so do please get in touch if your interested. Your ability is unlikely to be questioned. We then kick off the season away at Clyst Hydon on 24th April followed by the trip to Cullompton on 1st May. The first home game is on Tuesday 7th May at 6pm and the full list of fixtures is available on the village website.